7330 W Kendick Ave, Nine Mile Falls, WA.| MLS# 201911381 | Cooper Realty Services (509) 599-1111 | Spokane WA Real Estate | Contact us to request more information about our Homes for Sale in the Spokane WA area. Don&apos;t miss this fabulous home in a coveted location w/access to walking trails and Spokane River. Beautiful custom kitchen remodel features open concept w/granite counters, huge island, ample cabinet space, custom flooring and lighting. Large dining area. 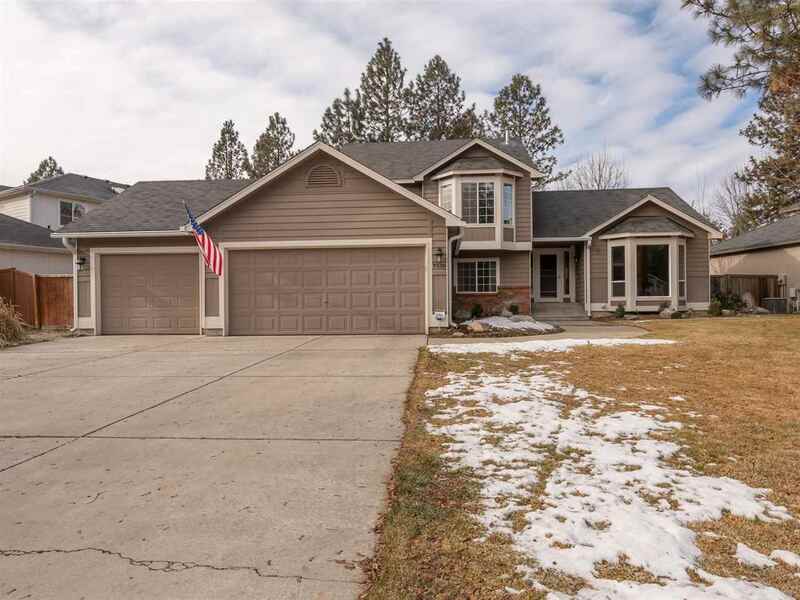 5 bedrooms, 3 full baths, 2 family rooms, 3 car garage, built ins and more. Outdoor space features large covered patio w/hot tub, deck off of kitchen for BBQ&apos;s. Concrete curbing and mature landscaping for privacy. New interior paint throughout.